WASHINGTON (AllPolitics, July 22) -- Businessman Guy Millner clung to a narrow majority Wednesday in the race for the Republican nomination for governor, but his opponent said he probably will seek a recount in hopes of forcing an Aug. 11 runoff. With votes counted from 95 percent of the Peach state's precincts, Millner had 50.2 percent of the vote, to 40 percent for former state attorney general Mike Bowers. Millner needs a majority to avoid the runoff and advance to the Nov. 3 general election. Bowers, whose front-runner status collapsed after he admitted a longterm affair with a former secretary, predicted absentee ballots from metro Atlanta counties would give him the margin he needed to force Millner into a runoff. 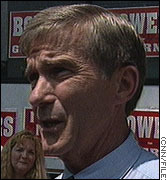 "When those absentee ballots come in, I think we'll be over the top," Bowers said. "We will most likely ask for a recount because of the closeness of the vote." Millner stressed cutting waste and eliminating the auto tag tax, but he drew fire for ducking most debates with his opponents. 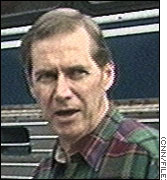 This is Millner's third try for political office, after failed bids for governor in 1994 and the U.S. Senate in 1996. In the race for the Democratic nomination for governor, state Rep. Roy Barnes finished first, but he fell short of the required 50 percent and will face Secretary of State Lewis Massey in a runoff. Barnes had 49.2 percent to Massey's 27.8 percent, with 97 percent of precincts reporting. Barnes and Massey have offered competing plans to cut taxes, improve public education and crack down on managed care health plans, which shows signs of becoming an issue in many elections races across the country this year. Gov. 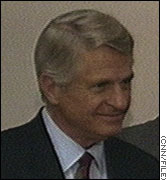 Zell Miller, the state's popular two-term chief executive, was ineligible to run again. He stayed out of the race, making no endorsement. Georgia is the only Southern state that has not had a Republican governor since Reconstruction, although the GOP holds a majority of Georgia's congressional seats and Republicans have made steady gains in the state legislature. In other noteworthy races, millionaire cookie entrepreneur Michael Coles trounced little-known businessman Jim Boyd, 77-23 percent, in the Democratic primary for the Senate seat held by Republican Paul Coverdell. Coverdell had no primary opponents. In the 2nd congressional district in southwestern Georgia, the support of retired Gen. Colin Powell and House Speaker Newt Gingrich couldn't help Dylan Glenn, a black political consultant. Glenn fell short in his race against businessman Joe McCormick for the GOP nomination. McCormick will face Democratic Rep. Sanford Bishop, who is black, in the general election Nov. 3.